During a brief period of… is it called aridity(?) at work today i decided to do some PI work. Calle Häggqvist who played bass in the band i have already found the contact information to and also had some contact with. But what about the others? First i found out that the record label Redhouse Productions HB still exists. I thought this was quite fun and interesting and i immediately started drafting a letter to send to the company, i also did a search on Googlemaps and noticed that a company namned Blackhouse were situated in the same building. I remembered the name Blackhouse from Calles emailadress thus this put a stop to my hopes of finding someone else who might have the record since i had already tried my luck with Calle. And since i don’t want to make myself out to be some kind of crazy person i deleted my draft almost immediately. I found two of the other guys in the band on a swedish site called hitta.se but i’ve decided not to bother them with any questions about the record. I doubt they would take offense or anything but you never know. Speaking of stalking, a few years ago i “stalked” Anna-Lena Wibom. Anna-Lena lived together with swedish museum director and art collector Pontus Hultén and both were good friends with Andy Warhol. A few years ago (2006-2007) there was quite the scandal concerning Hultén and a number of now infamous wooden Brillo Boxes. These were being sold at very high prices in autions due to a letter of confirmation from Hultén that these had been a part of the exhibition in Stockholm in 1968. However, these boxes were really created in Malmö in 1990 for an exhibition in St Petersburg, thus the scandal. Or one might call it “scandal” considering Andy Warhols views on ownership and originality. 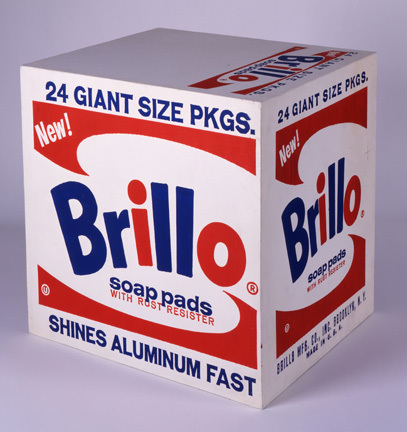 I’ve wanted a Brillo Box for a long time. But to ever have an original one on the floor at home is something that most definately will not ever happen. But a few years ago swedish documentary radio show P3 Dokumentär did a show on this very story. A show were Anna-Lena was interviewed and told, among many other things, that she still had two of these “fake” Brillo Boxes at home. I wrote her a letter asking if she would ever consider selling one. To my surprise she wrote me back almost instantly. The boxes were not for sale but i did get some other stories and information which was much appreciated. So, i’m now in the process of making my own Brillo Box. This has been an ongoing project for quite some time, mainly due to the fact that i’m far, far, far from what you might call a handy man. At present time the box is at least put together and there is “only” the small detail regarding the painting that remains. The final result will probably now look as good as this one, but hopefully it will turn out decent. Close to where i work is one of Gothenburgs largest, but unfortunately also worst, second hand shops called Holmens Marknad. Insane amounts of garbage furniture mixed up with various porclains, clothes and offcourse the ever present pianos. Like in any other second hand store there is also some 10-15 cases of records. In lack of other things to do i usually visit the shop 1-2 times a week during my lunch break, just to have a quick look if there’s anything new there. I’ve been there quite a few times now and records are probably not their biggest seller so i pretty much know the content by heart at this point. There are rarely any new additions and the amount of 7″s is far from impressive so it’s not a massive task to go through it. And so to something more fun. 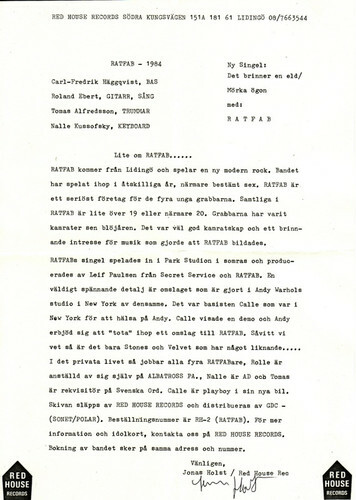 I’ve had some contact with Göran at recordpalace.com about the backstory of the copy he sold at ebay recently. And it was quite a funny and interesting story. 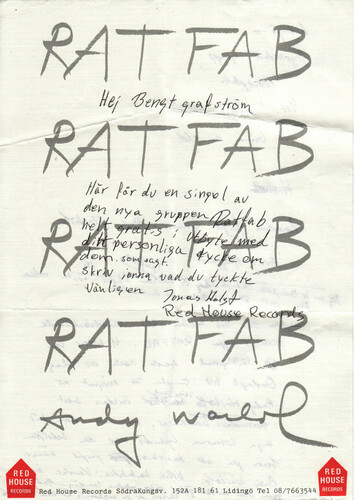 Göran had purchased a lot of 7″s from a record shop in Sundsvall when it closed up sometime in the mid 90’s. 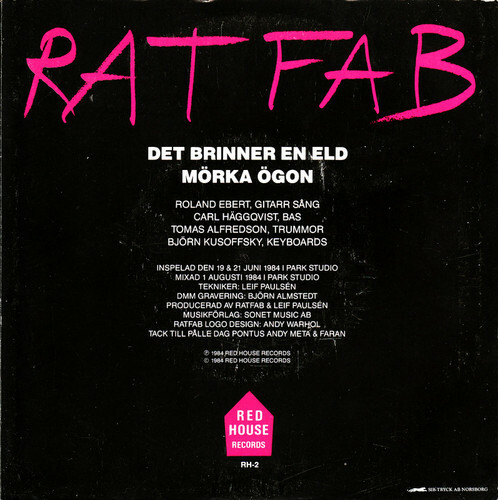 The owner of that shop had at one point bought the entire, or parts of swedish journalist and media personality – Bengt Grafströms – record collection. 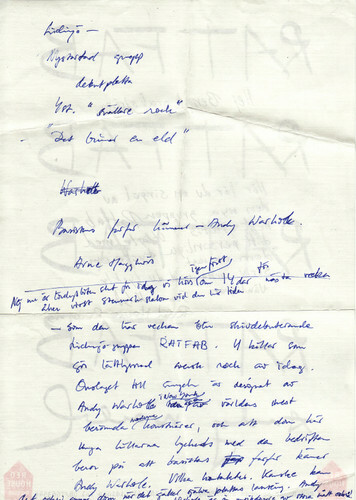 And so that’s the origin of the letter and press release that was included in the auction. 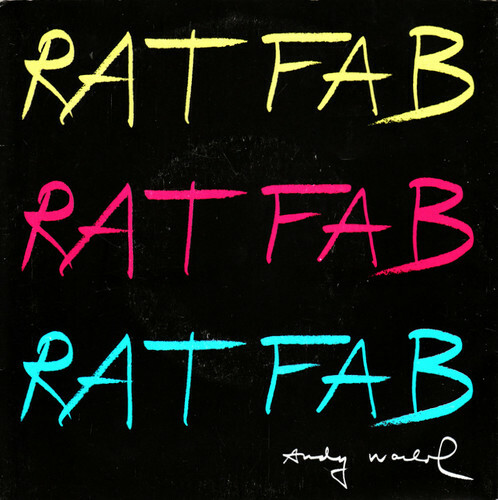 I asked Göran how many Ratfab’s he had seen through the years and he wasn’t quite sure but it was more than a few, and a couple had most likely been sold at the shop for next to nothing. But on to something very positive, ha also told me that he had a few more copies laying around. He didn’t say exactly how many and i got the impression that they might be in a bit worse condition than the first one he sold. And he didn’t have any more with any extra material like the press release etc. Naturally i asked him if he would consider selling a copy outside of ebay, i haven’t heard back from him yet. I also added that my financial resources are somewhat limited so we’ll see what happens. Hopefully he will wake up happy one day and decide to sell me a copy at a resonable price. The aution closed at a little more than $900 which offcourse is a bit outside of my comfort zone. Not unexpected and there is nothing else to do than to breakdown and rebuild. Immediately after this auction closed a new copy appeared on ebay, it’s the same copy that i’ve posted about earlier and the asking price is also the same. I tried to get in contact with the seller the last time around to maybe try and work something out, but without any response. It probably won’t sell this time either, but i doubt he will reply to me anyway. Here we go again. 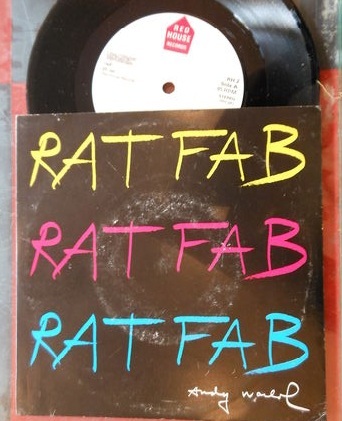 Yesterday another copy surfaced on ebay, the seller is a swedish online recordstore called recordpalace. The record appears to be in great condition and this time there is also an interesting twist. 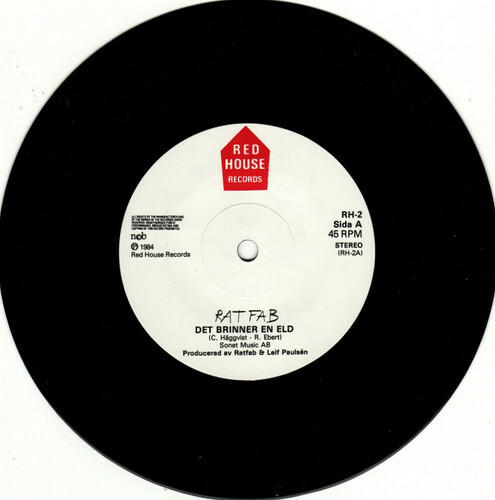 Included are some items from the record label – Red House Productions – like a pressrelease and some other things. So i definately know where i’ll be next sunday – parked right in front of the cumputer! I’ve put up some ads at two swedish sites: Oslagbart.se and dagensannonser.se. I haven’t heard much about these sites before and i have no idea about how much traffic they generate.So, once again my expectations are extremely low, to say the least. 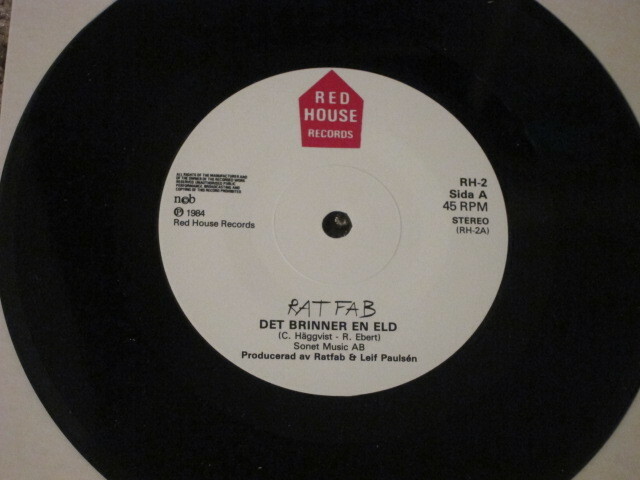 I’ve also made some posts about the record on the swedish forum on discogs. Discogs is a great site but the only drawback here might be that the people there know what things are worth and thus if anyone ever responds it most likely won’t be with a great offer. About six months ago i found the email to one of the guys in the band. I asked him some questions about the story behind the cover and i also asked him if he still had some copies he might be willing to sell. And he did. He offered me a copy for 3500kr, roughly $500-550. However, i never got to see any images of the cover and then a few other things came up and eventually nothing came of it. I reached out to him again this week to enquire if the single was still available. Unfortunately it wasn’t, i don’t know if he sold it to someone else or if he had just changed his mind. But i guess it really doesn’t matter either way. I asked him if he knew of anyone else who has a copy and might be willing to sell it but i haven’t heard back from him yet. I doubt that this will lead to anything but you never know. 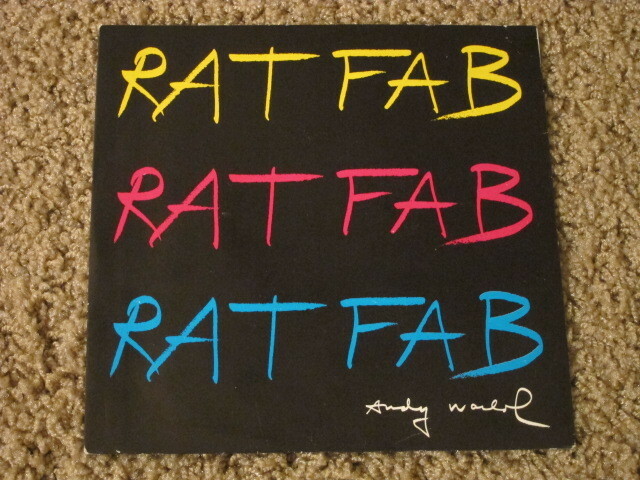 In other news, an excellent copy has surfaced on ebay. The starting bid is at $1150 so once again it’s a bit higher than what i’m able and willing to pay for it. Remains to be seen if it sells or not. I’ve also sent an email to the seller asking about how and where he found it but i haven’t gotten a reply yet. I also asked if he might be willing to settle something outside of ebay if the record doesn’t sell. I have low expectations regarding this though, i haven’t had much luck with this in the past and i also doubt that he would sell this great copy for somewhere around $5-600, but we’ll see what happens. Right now there are, to my knowledge, two copies available. 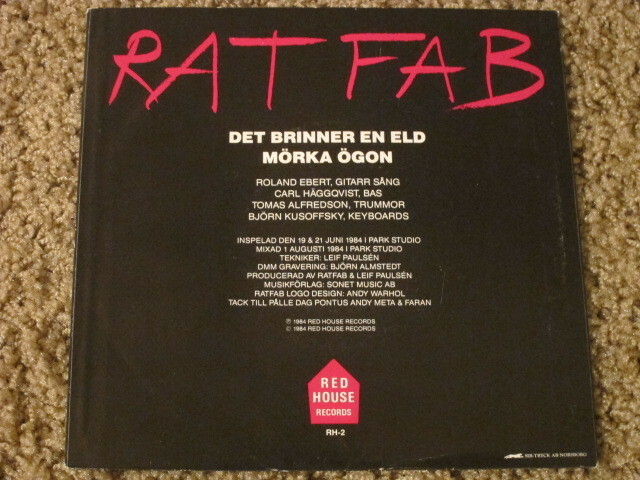 There is the one from Nostalgipalatset for 5000kr and the other one is now on french ebay and on discogs. It’s the same seller on this one and it’s been there forever, which isn’t surprising considering his asking price. On discogs he is asking 2200 euro and on ebay it’s listed at 1945 euro. No doubt a crazy guy. Also, the condition appears to be so so… i’ve seen a couple in much better condition sell for much, much less. So, it’s highly unlikely that this copy will end up on my wall at home.